YP Dine is THE app to discover the best places to eat and go out.Download now! 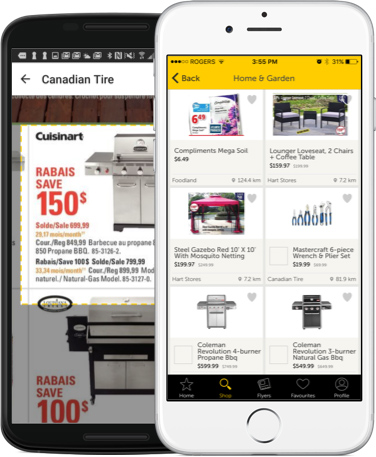 YP Shopwise is THE shopping companion app, Weekly Flyers, Deals & Gift Ideas.Download now! A smarter way to shop. YP Shopwise saves you time, money and enhances your shopping experience. It’s your everyday shopping app! Yellow Pages Group (YPG) is a leading media and marketing solutions company in Canada. The Company serves Canadian small businesses through its nationwide sales force of media consultants.